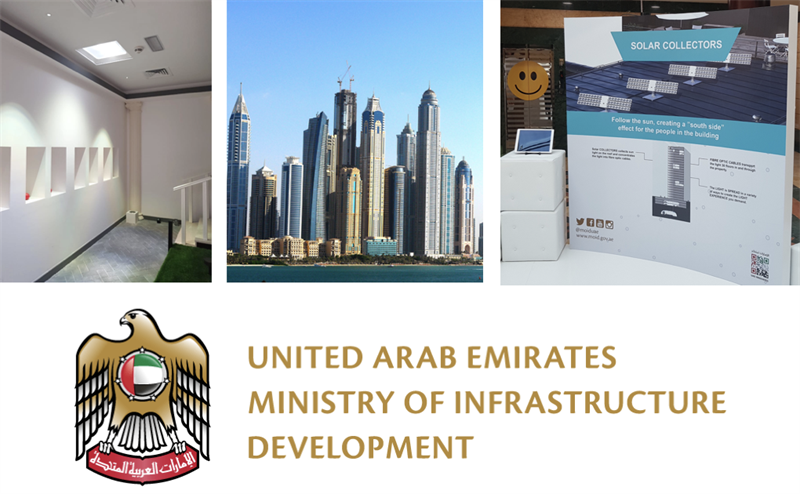 This week Parans and its local partner BMTC, participates at an event at the Ministry of Infrastructure Development in Dubai, UAE. February month has been declared as Innovation Month in the country and during the last week the Ministry has invited selected companies to present their solutions to relevant people within the network. - The Innovation Week will give us and our partner a good occasion to strengthen our relationship within the Ministry, at the same time we will increase the knowledge about us by presenting our solution, says Fredrik Johansson, Senior VP Sales & Marketing at Parans. The Ministry has a very important role since they decide in almost every construction project in Dubai. Our partner has also advanced projects regarding Parans solutions together with them, why it is very positive that we have been selected among a handful companies able to exhibit at their main office. During last week BMTC exhibited at the Innovation Week at the Ministry of Infrastructure Development in Fujairah. Our partner representatives got great interest from the Minister, who has chosen to look at Parans solutions for different projects. This shows the vast interest for us on this market and that we in the dialogue talk to people on the right decision level. Parans Solar Lighting offers sunlight for indoor environments through an innovative system that captures and leads the rays of the sun. Parans, which developed and patented the technology, turns mainly to property owners, architects and larger employers worldwide. Parans Solar Lighting is quoted on Spotlight Stock Market and has office in Mölndal, Sweden.